This diesel powered hot water system will produce continuous hot water up to 80 degrees in a matter of minutes. Fuel type: Diesel, the 9kw version will consume around 0.7 LTR of fuel an hour making it very economical. Max Temp: The temperature of the system can be set at whatever temperature is required at the brush, with the dual heater option you can have two different independent temperatures working at any one time with a range of 0 to 80 degrees. Frost stat option: the system can be placed in frost stat mode, this option is designed to monitor and take control of the water temperature in the tanks preventing the system from freezing and causing damage overnight. When the frost stat probe detects the temperature drop below 2 degrees in the tank the boiler will fire up and cycle for approximately 13 minutes giving off just enough heat to prevent your equipment freezing overnight. This gives employers peace of mind not having to rely on operatives to place heaters in the vans overnight knowing the system is going to be free from frost for work the next day. This option is perfect for those people that don’t have driveways and are unable to place heaters in the back of the van overnight. #1 Flow rate: will allow you to vary the flow rate of water coming out of the pole with over 100 different flow settings. #2 Battery voltage: by the press of a button the system control panel will display the battery voltage from the power supply. #4 Heater: the heater can be turned on and off by the touch of a button. #5 Calibration: you can calibrate the shut off pressure on your pumps, automatically or manually. 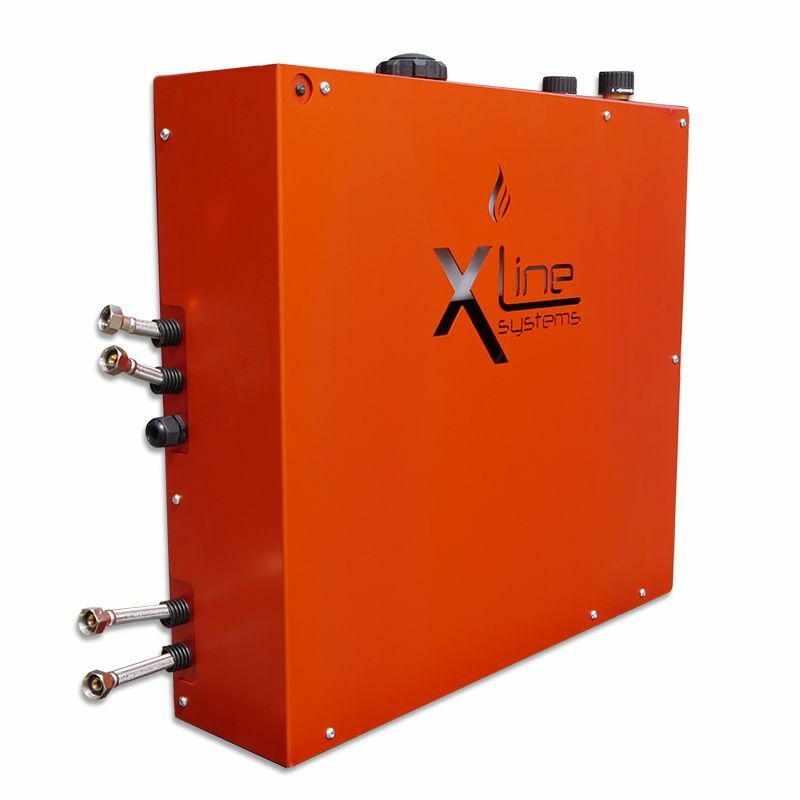 Inline TDS: An inline TDS allows you to monitor the performance of the system by giving accurate readings of total dissolved solids in the water, both after the reverse osmosis stage and then after the ion exchange resin stage. This will give you piece of mind and very accurate readings of when to change filters. The benefits with hot water over cold speak for themselves. With the Great British winters proving to be more and more erratic, many window cleaners are faced with the prospect of spending longer periods over the winter months unable to work due to freezing equipment, a hot water system by far pays for itself over and over again. How many times have you woken in the morning to be greeted with one massive ice cube in the back of your van, and spent the next couple of hours boiling the kettle and pouring it over your pumps, then eventually get water flowing through the system, then get out to work and find as soon as you make a start the water freezes in your hose? Investing in a hot water system will allow you to have the peace of mind that you can continue to work no matter what the outside temperature is. System components can also be protected from frost by having the frost stat version which has been designed to automatically fire the boiler up overnight when the water temperature in your system drops below 2 degrees. For those already window cleaning will know that snail trails, bird muck and bug splats can be a right headache to remove, it is a fact that hot water out performs the cleaning power over cold by far therefore removing stains on glass quicker reducing the time taken on the job, allowing you or your staff to get more done in a shorter space of time. Hot water will also benefit you on any builders cleans, conservatory roofs, fascias and cladding where more cleaning power is required. Digital Control panel allows you to turn the hot water on and off. Frost stat on and off, auto calibrate the pumps , battery voltage display.